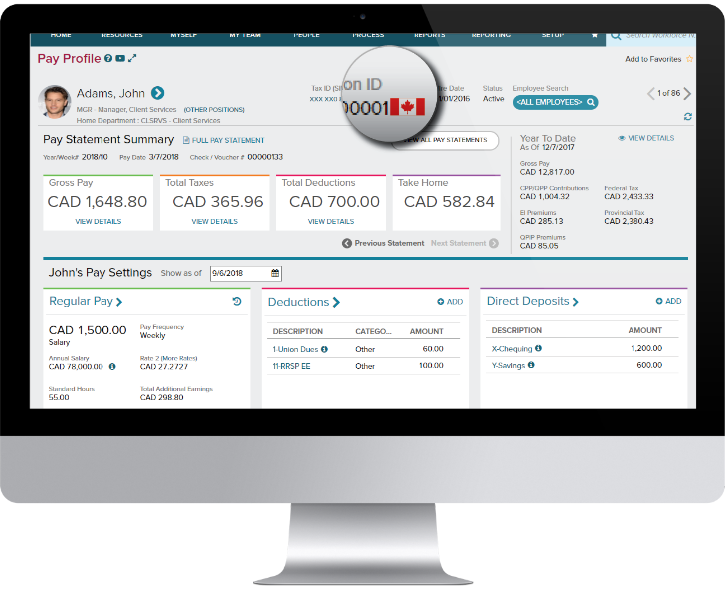 ADP Workforce Now® provides a unified experience to manage employees in both Canada and US without having to log-in to multiple accounts. Rely on a single database for all of your data. 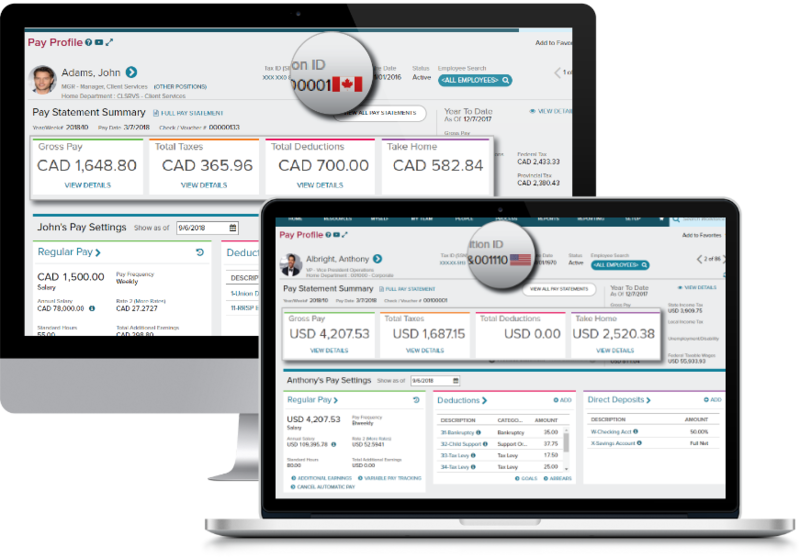 This capability will enable your organization to complete a task for an employee in either Canada or the US in one system. Practitioners can view the Country flag that indicates where the employee works. Finding employees is easy whether they are in Canada or the US. Use the employee search to display list of employees and associated country the employee is hired in. 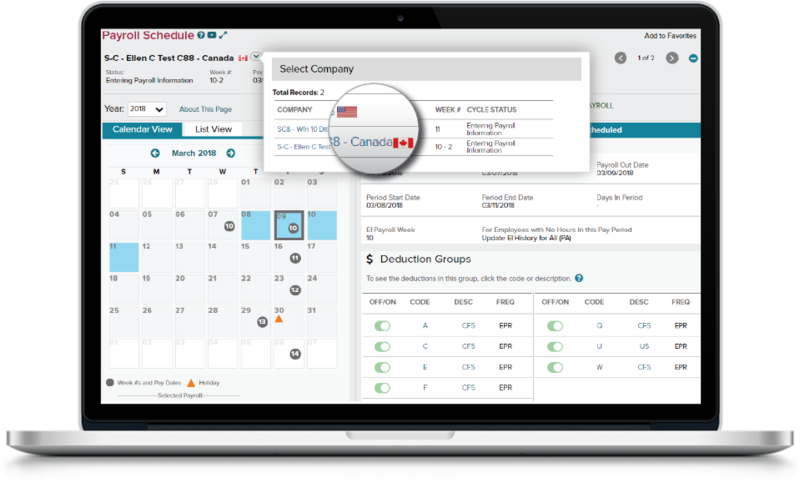 Practitioners can now set up payroll schedules for both Canada and the US without dependencies on either country. for all your HR needs. Allows you to run off cycle payrolls without impacting regular payroll cycles. Seamless look and feel whether you are completing a task for an employee in Canada or the US. Easy access to contextualize data that helps you make better business decisions. Expanding your business on both sides of the border with integrated partners.